You want to give something special to your close friends and family, but you don't have a lot of time. Sound familiar? Here's an idea that just might save the day. Print your own fine art greeting card, then put a holiday gift certificate inside. Fine art greeting cards that I printed myself, with Amazon downloadable gift cards that can be output with any inkjet printer. There are a variety of ways to accomplish this. I'll explain what I use, then you can tailor to your own tastes. This year I started with Red River Linin 60lb card stock. It's beautiful high quality paper, scored, and folds to a 5"x7" fine art card. I choose a favorite image, then make a print run of about 30 cards. I like to have a few extras. Red River has a Card Help Center that provides you with tips, templates, and more. I use Aperture for my fine art cards because I can create a template then drop in the photo. But you can use Photoshop, Lightroom, or Photoshop Elements too. I then add a holiday gift certificate. This year I chose Downloadable Amazon Gift Cards that let me set the amount and choose the design. They then send me a PDF of the gift that I can print out and include in my fine art greeting card. 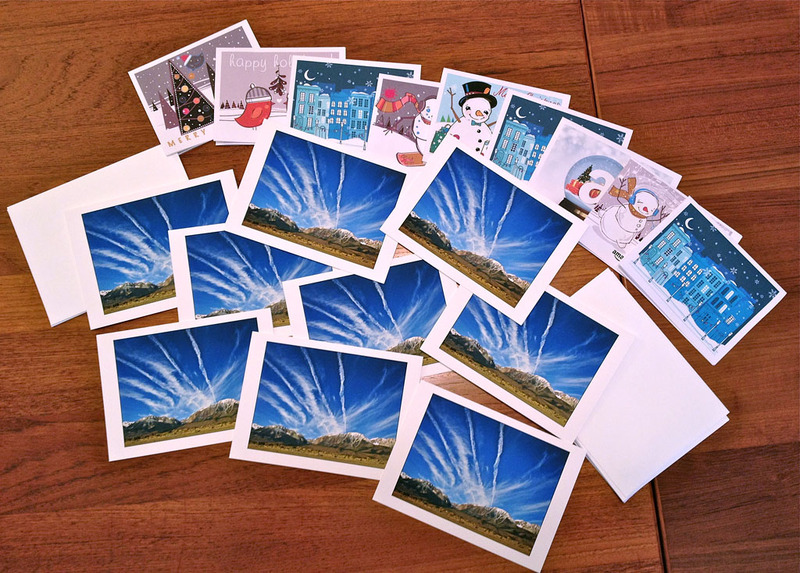 Put everything in a 5"x7" envelope, add a holiday sticker or two, and you're set. You may have heard me mention before that people love these fine art cards. I've had many recipients tell me that they've framed them so they can enjoy year round. Buy china phones,Coach Factory Outlet, cool gadgets, china electronics direct from internet at wholesale price.